[Their Queen and]This title is an unofficial, amateur translation. The two separated maids at long last reunite and embark on their promised journey. Equipped with iron fists to go along with flames of passion, this caretaking duo is sure to overcome any obstacle in the pursuit of their queen. Grim Flame 450% Light damage to a foe. Fullmetal Impact 450% Light damage to a foe. Checkmaid 1250% Light damage to a foe. Duration: 180 seconds (Damage cap: ~2,900,000). ⇧ Lvl 55This skill is enhanced at level 55. 350% Light damage to a foe (Damage cap: ~410,000). Dorothy: 250% Light damage to all foes and remove 1 buff (Damage cap: ~470,000). 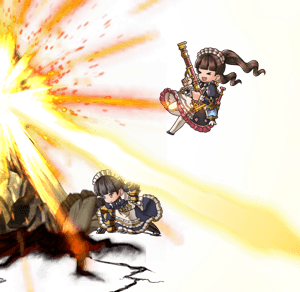 Dorothy: Normal attacks hit all foes. Strength: 5% (Max: 20%) (Max: 20%) with every normal attack. This character cannot be used in the same party as their standalone versions, Dorothy or Claudia. 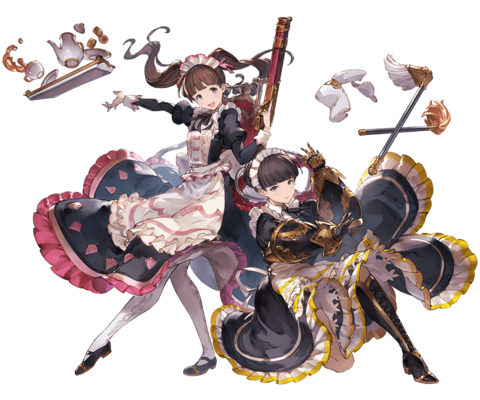 Individual outfits for Dorothy and Claudia's standalone versions cannot be used on this version. Conversely, this character cannot be used as an outfit for the standalone versions. Switching between each maid retains any currently active status effects and skill cooldowns. 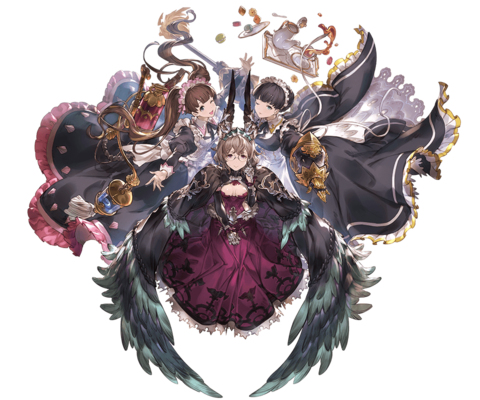 The 5-turn cooldown will not count down if Dorothy and Claudia is a sub party member. is not present when a Charge Attack with 200% is activated, the character will just use their own Charge Attack twice. 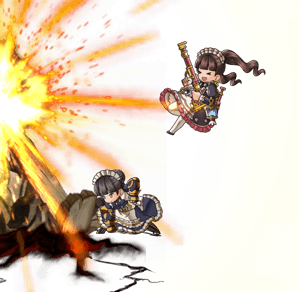 Dorothy and Claudia gain more charge bar upon skill use with each rank.